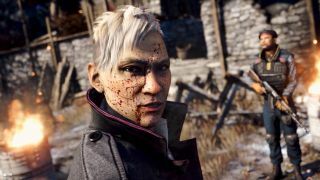 Far Cry 4 launched yesterday, followed immediately by a day-one patch intended to fix at least some of the bugs and performance issues that almost inevitably seem to plague game releases these days. Alas, it didn't fix all the issues. A Far Cry 4 Live Updates status page has been created to keep players apprised of the game's status. Crashing to a black screen during loading: Ubisoft has been able to reproduce this problem and believes it might be related to the presence of conflicting peripherals, although what those peripherals might be aren't mentioned. One user suggests Logitech devices might be a cause of trouble, but that's entirely anecdotal. PlayStation 3 game data corruption: This isn't really our bag and Ubisoft doesn't have much to say about it except that it may or may not be related to having previously played Far Cry 3. Preorder code redemption: Anyone who preordered Far Cry 4 should have been emailed a code for the Blood Ruby mission. Not everyone has received the email, however, and not all emails that were sent out actually contained a code. Anyone who's run into a problem other than the ones mentioned above that isn't addressed by either the day-one patch or the upcoming second patch, previewed here, is asked to submit a ticket to the Ubisoft support site.